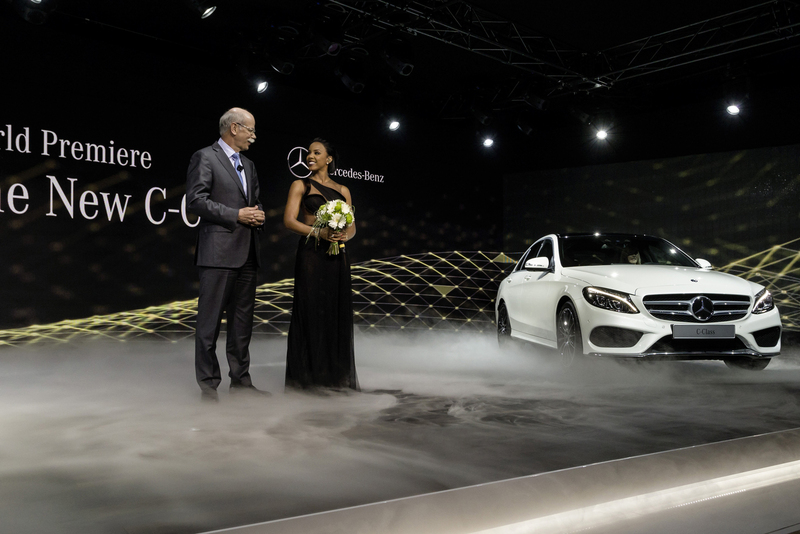 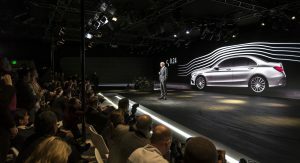 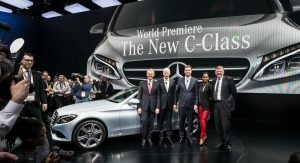 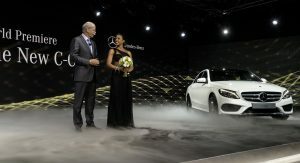 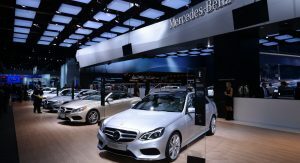 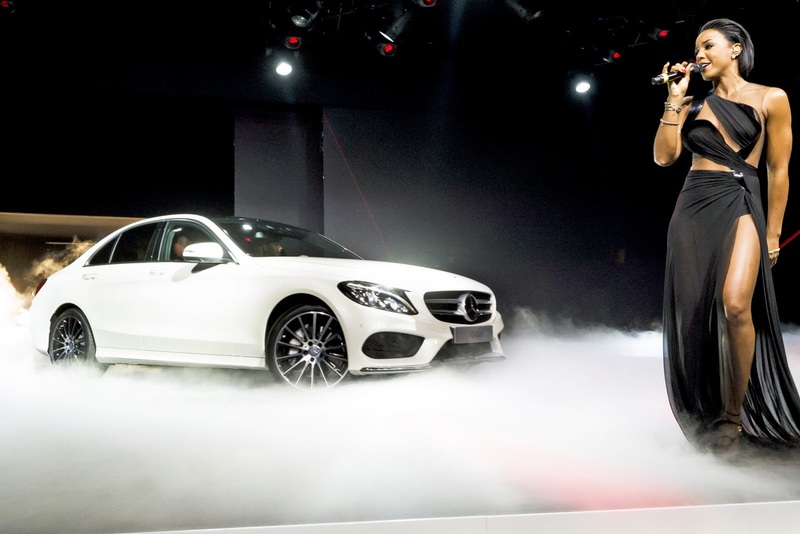 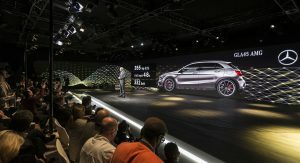 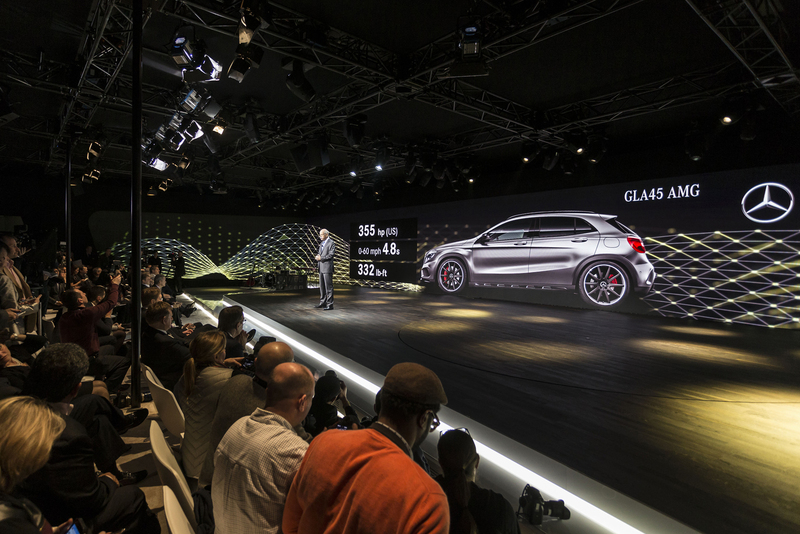 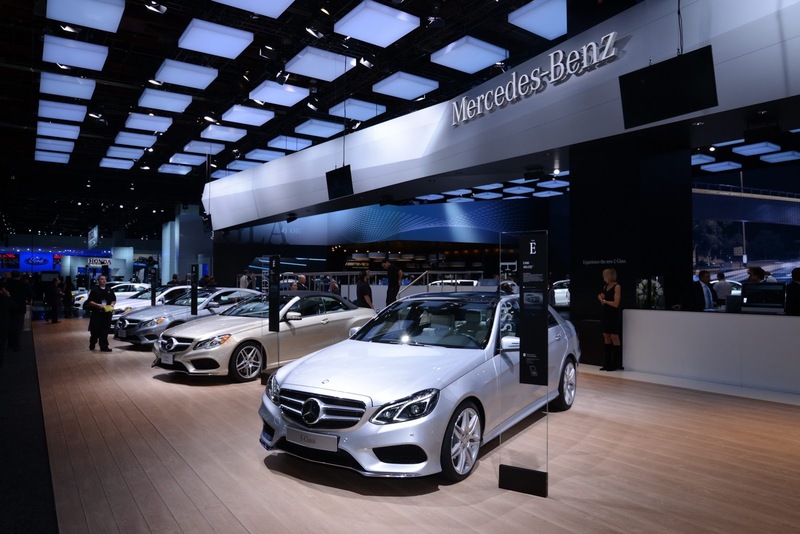 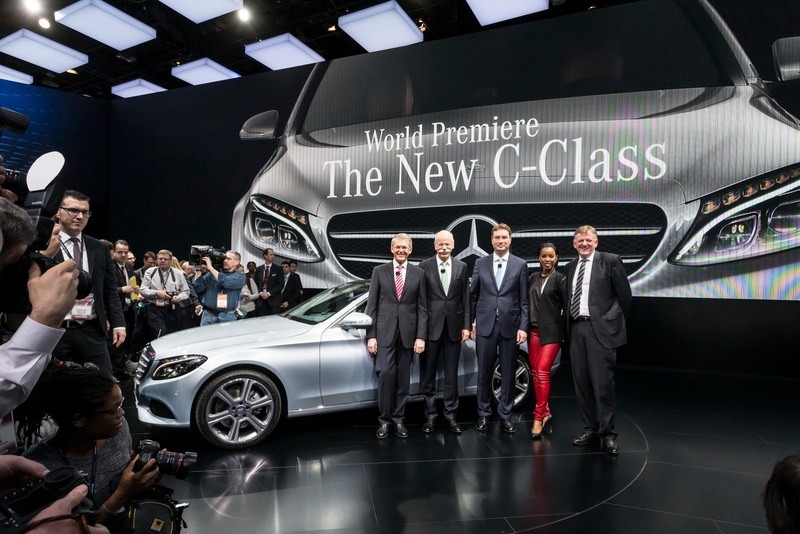 We’ve known all about the all-new Mercedes-Benz C-Class for nearly a month now, but the actual world debut of the car took place at the Detroit Auto Show, where the carmaker staged a special event featuring former Destiny’s Child member Kelly Rowland. 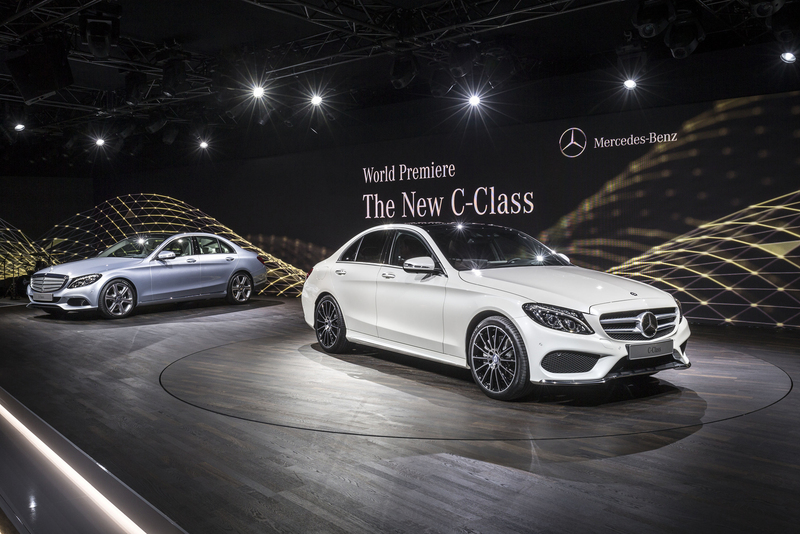 As we’ve already dissected the design of the 2015 C-Class, we’ll focus on the main technical highlights of the car. 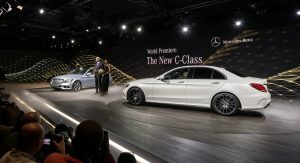 Although the new C-Class is larger, it is also up to 100 kg (220 lbs) lighter than the outgoing model, thanks to the aluminum hybrid body, with fuel consumption dropping by up to 20 percent. 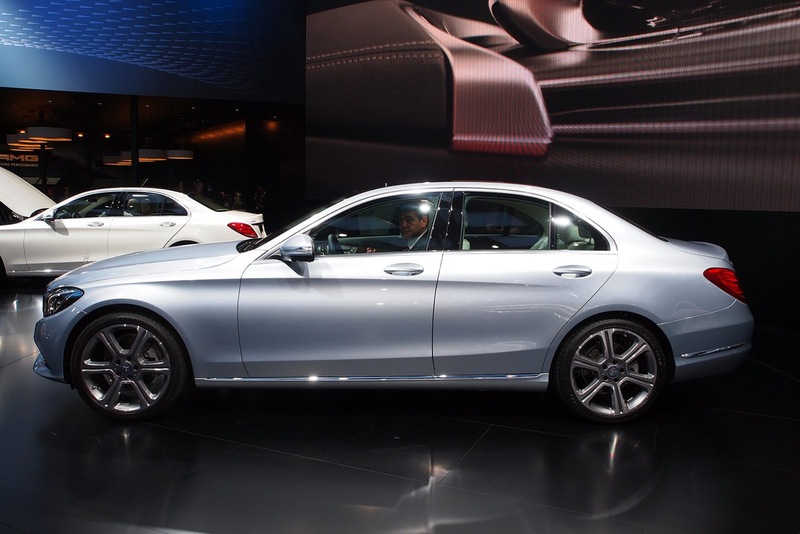 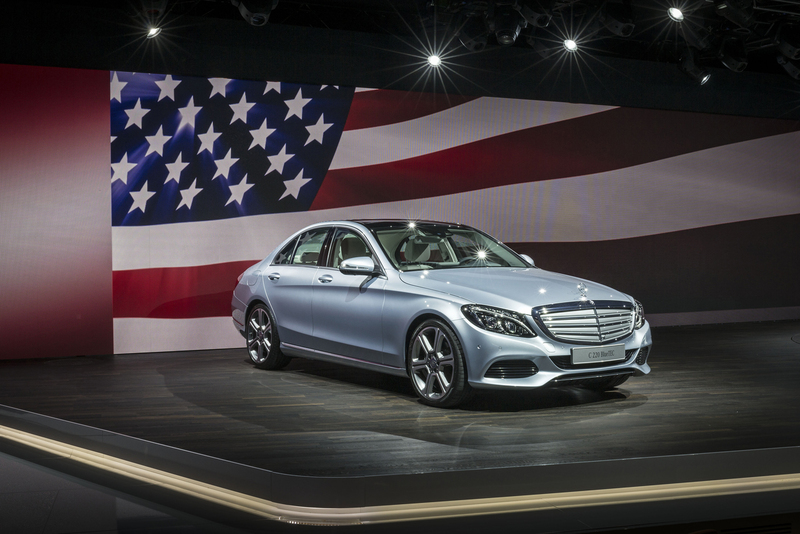 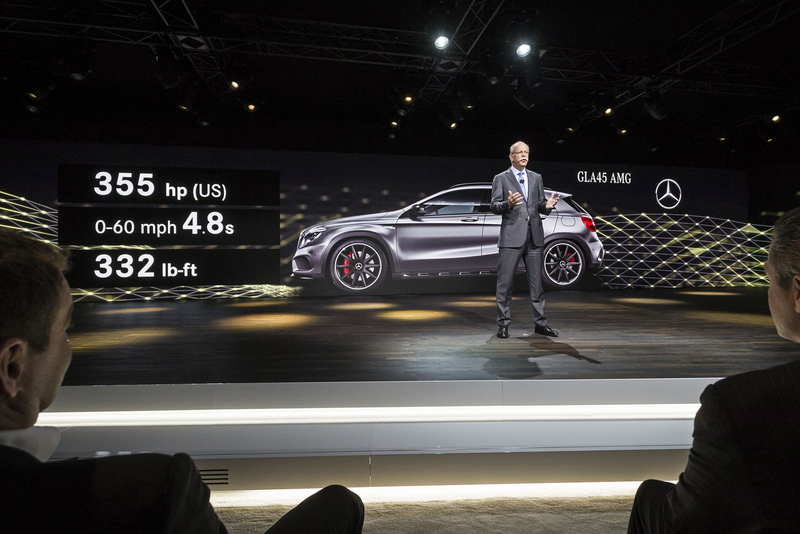 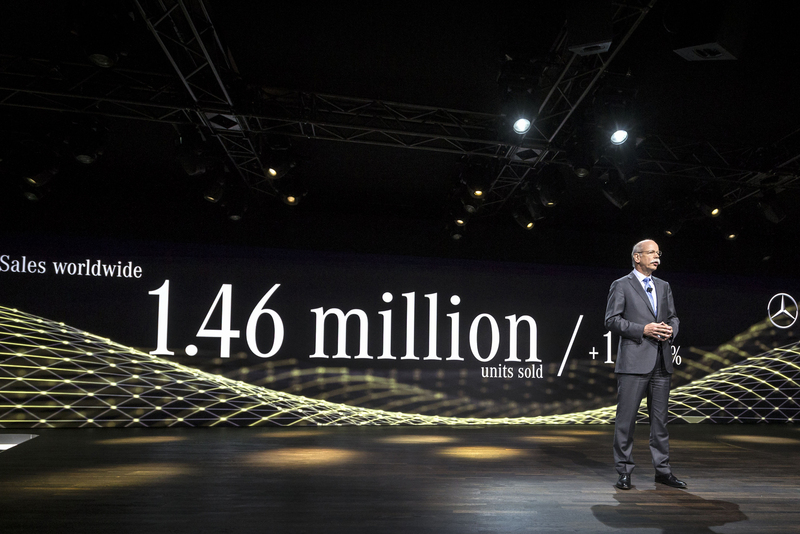 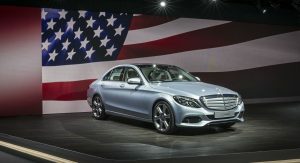 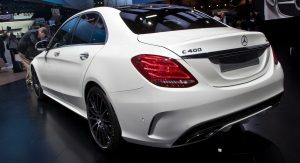 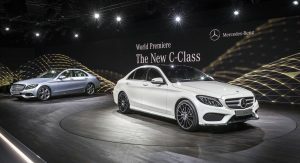 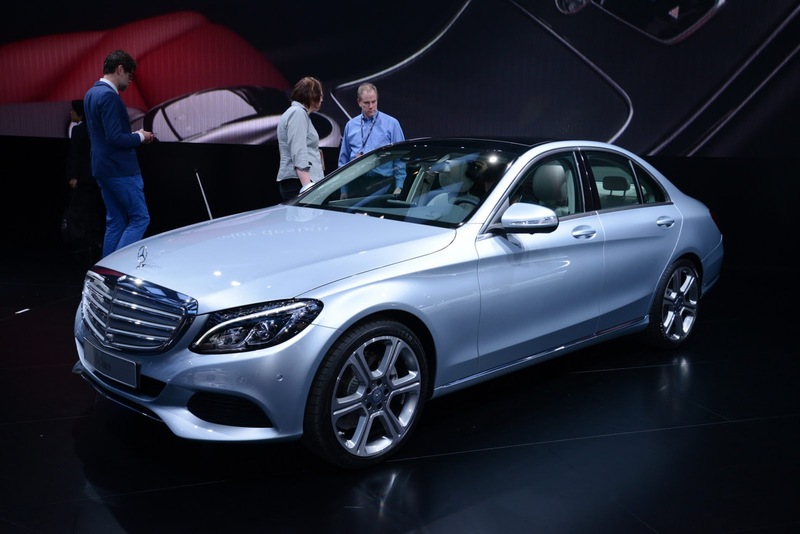 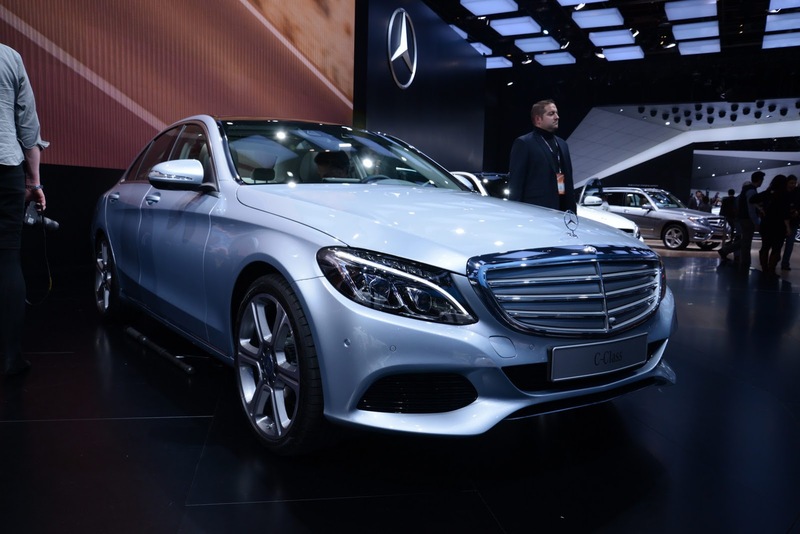 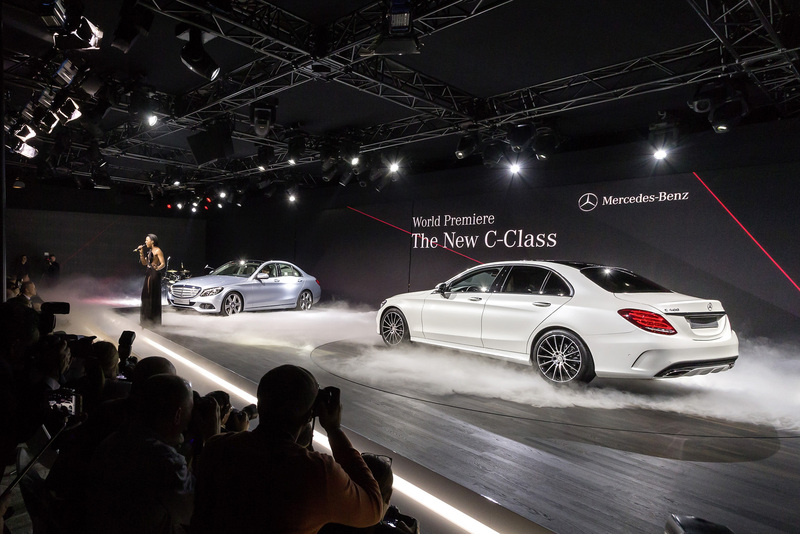 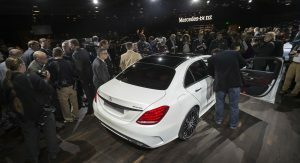 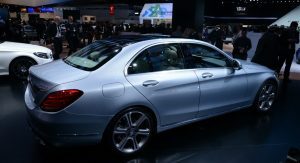 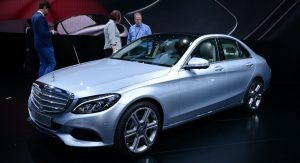 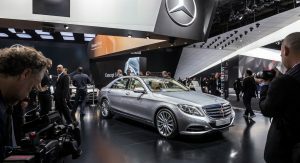 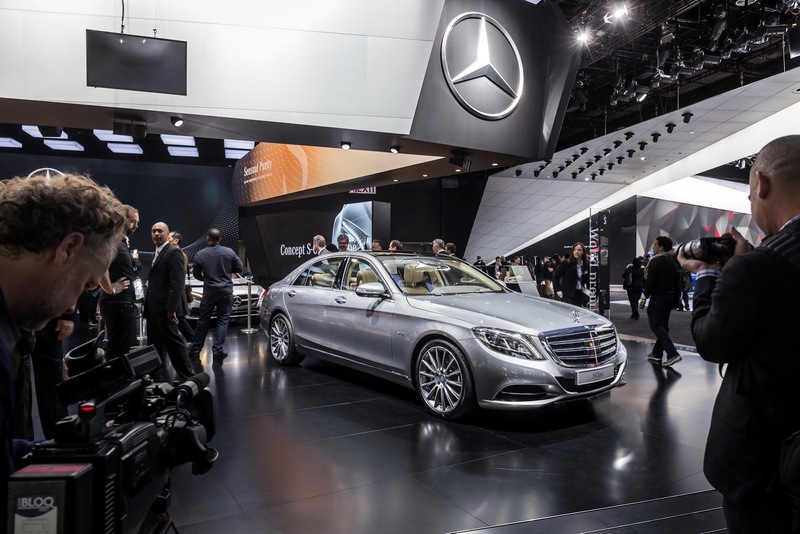 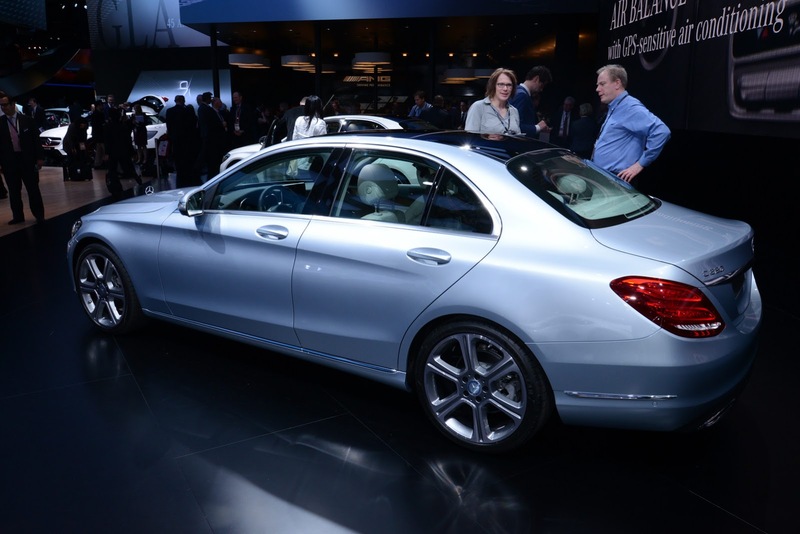 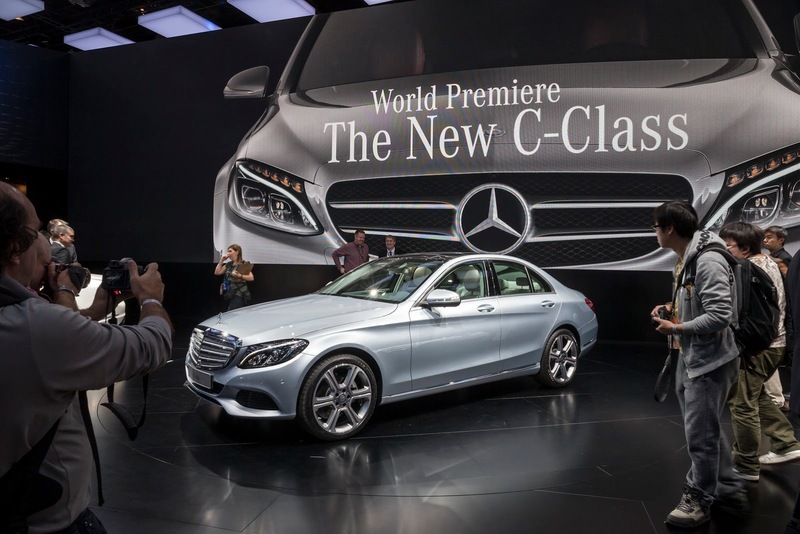 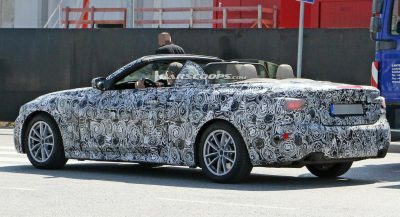 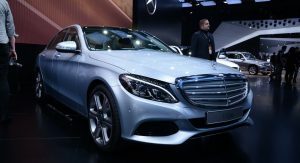 In the U.S., the new C-Class will be available from September 2014 with two gasoline powertrains: the C 300 4MATIC with a 2.0-liter turbocharged direct-injection in-line four-cylinder engine producing 235 hp and 273 lb-ft (370 Nm) of torque and a C 400 4MATIC with a 3.0-liter turbocharged direct-injection V6 churning out 329 hp and 354 lb-ft (480 Nm) of torque. 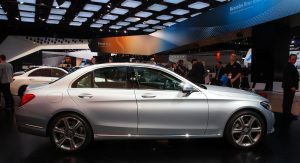 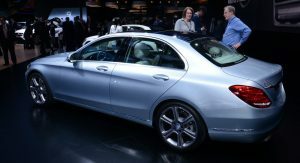 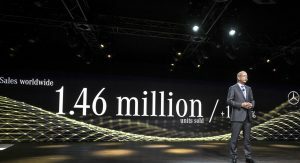 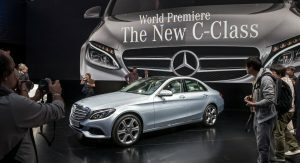 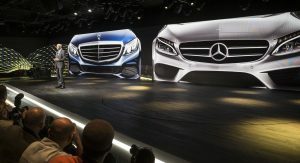 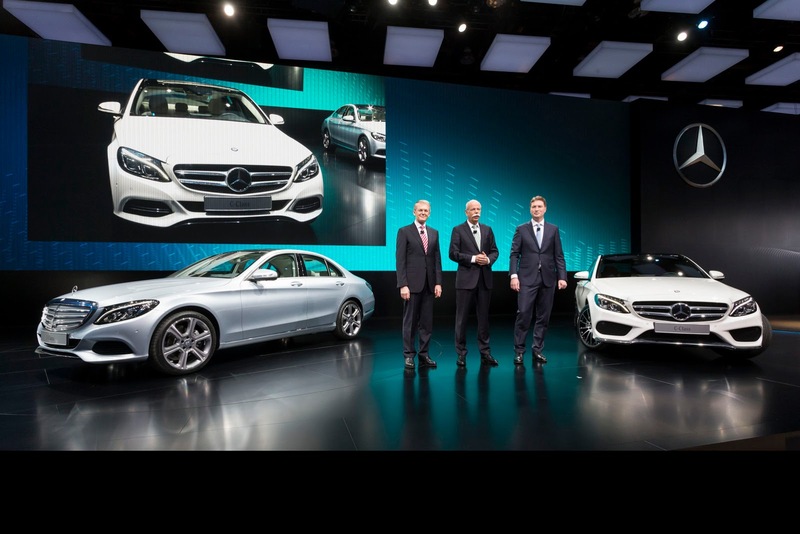 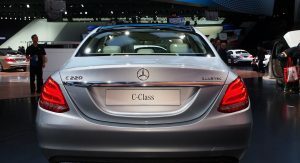 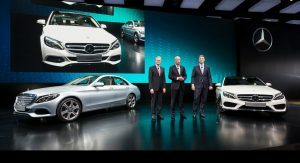 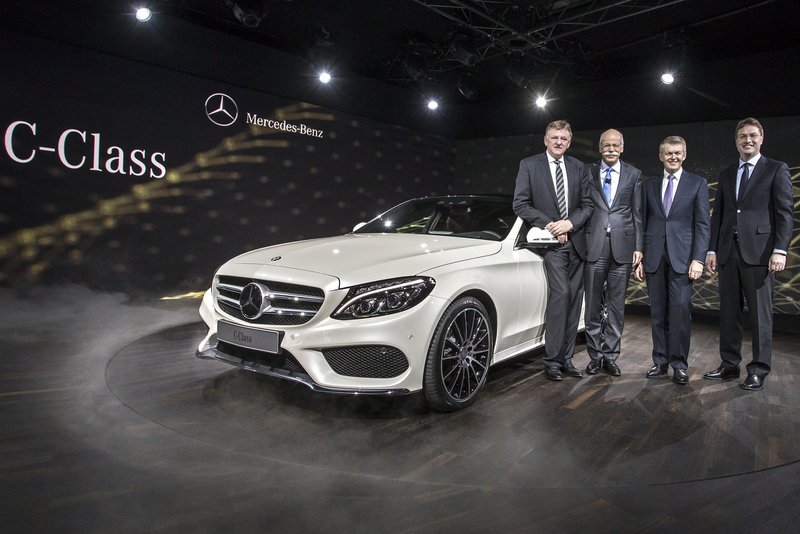 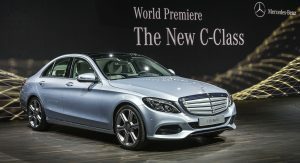 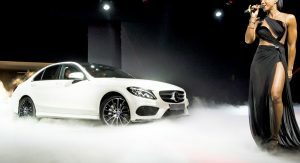 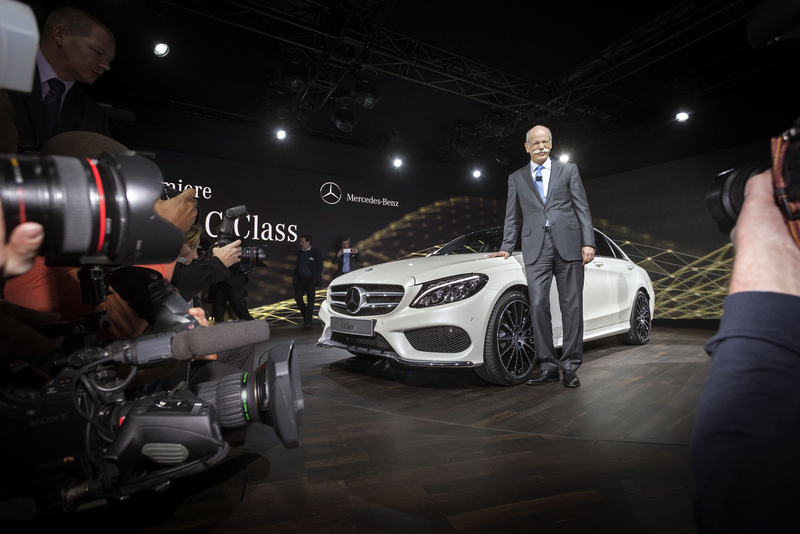 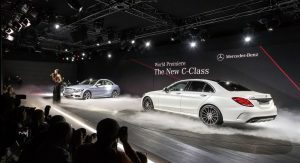 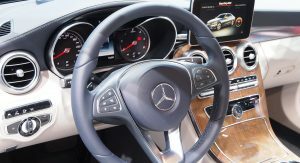 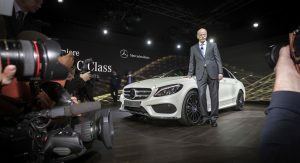 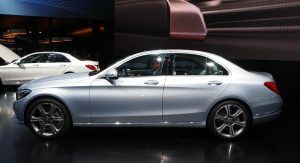 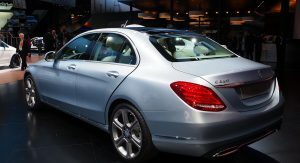 In Europe, the C-Class will launch with three engine variants: a diesel (C 220 BlueTEC) and two petrol models (C 180 and C 200). 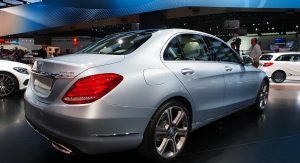 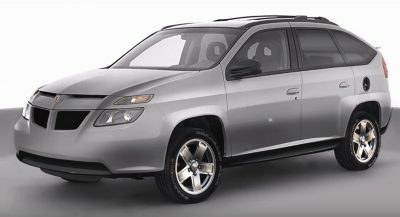 The 2.1-liter diesel produces 168 hp (170PS) and is the most economical, averaging 4 l/100 km (58.8 mpg US). 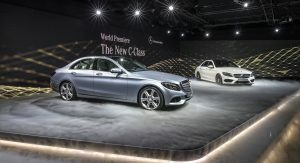 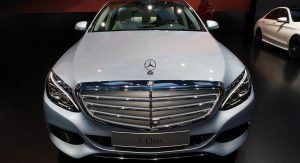 The C 180 features a 154hp (156PS) 1.6-liter engine that returns 5 l/100 km (47 mpg US), while the C 200 has a 2.0-liter unit producing 181 hp (184PS) and averaging 5.3 l/100 km (44.4 mpg US). 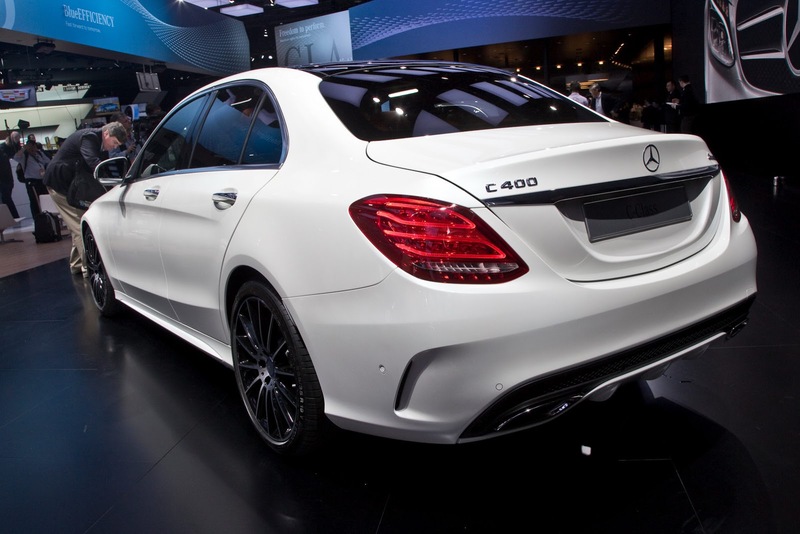 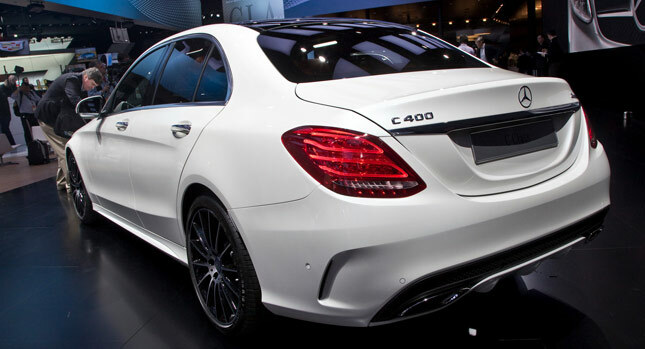 The C200 is the fastest of these three models, sprinting from 0 to 100 km/h (62 mph) in 7.5 seconds. 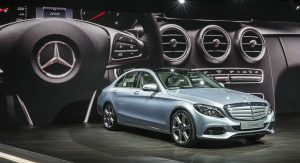 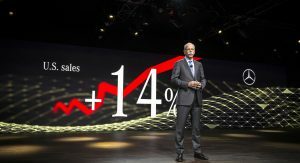 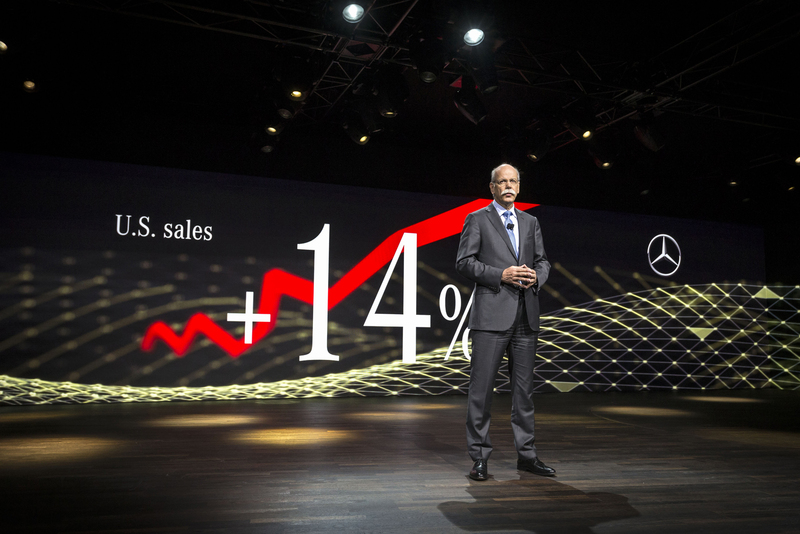 Soon after the market launch, Mercedes will roll out new diesel engines, including a small 1.6-liter unit with either 114hp (115PS) or 134 hp (136hp), as well as more versions of the 2.1-liter engine with up to 201 hp (204PS). 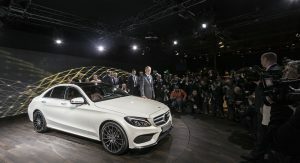 Five four-cylinder petrol engines rated at 154hp (156PS) to 235hp (238PS) will also be available, including the special C 180 ECO Edition model. 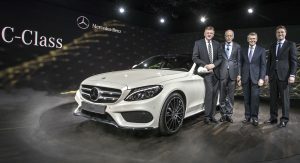 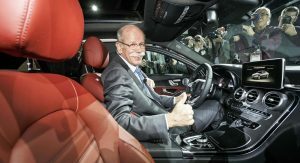 A six-cylinder petrol engine rated at 329 hp (333PS) will follow later, as well as the C 300 BlueTEC Hybrid pairing the 201hp 2.1-liter diesel with a 20kW (27hp) electric motor for an average fuel consumption of 3.9 l/100 km (60.3 mpg US). 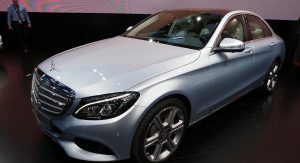 Four-cylinder engines are mated as standard to 6-speed manual transmissions, with the 7G-Tronic Plus automatic gearbox offered as optional. 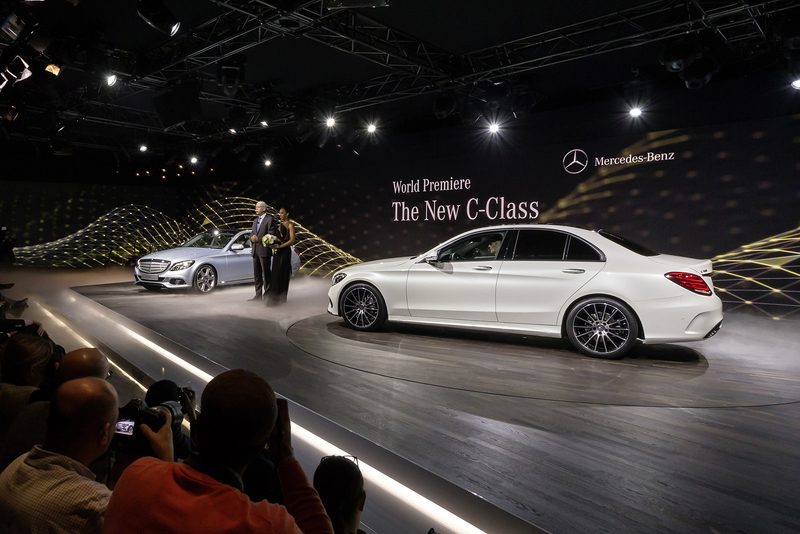 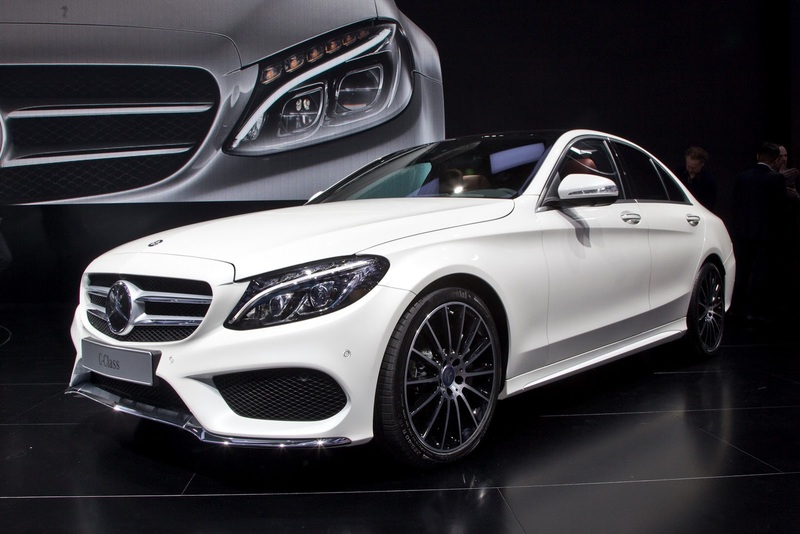 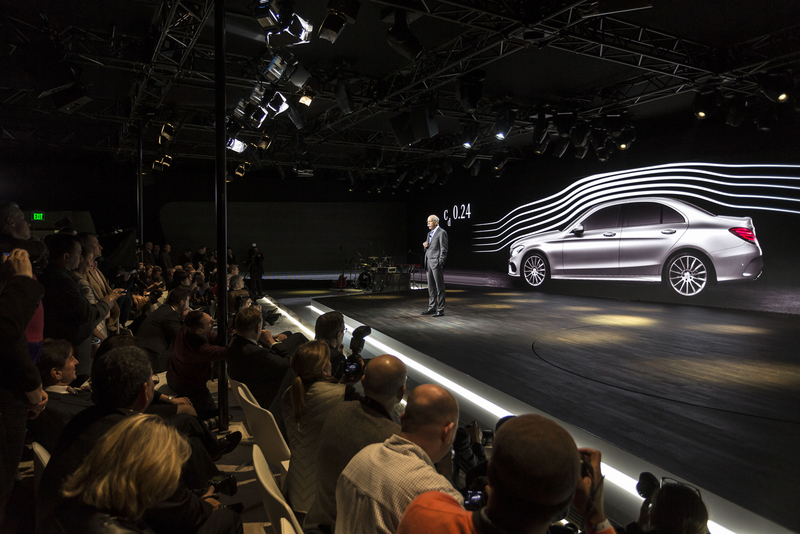 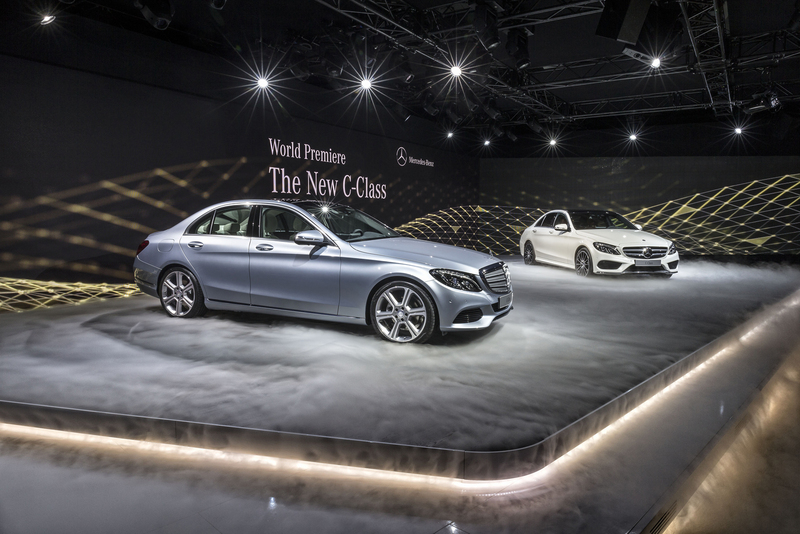 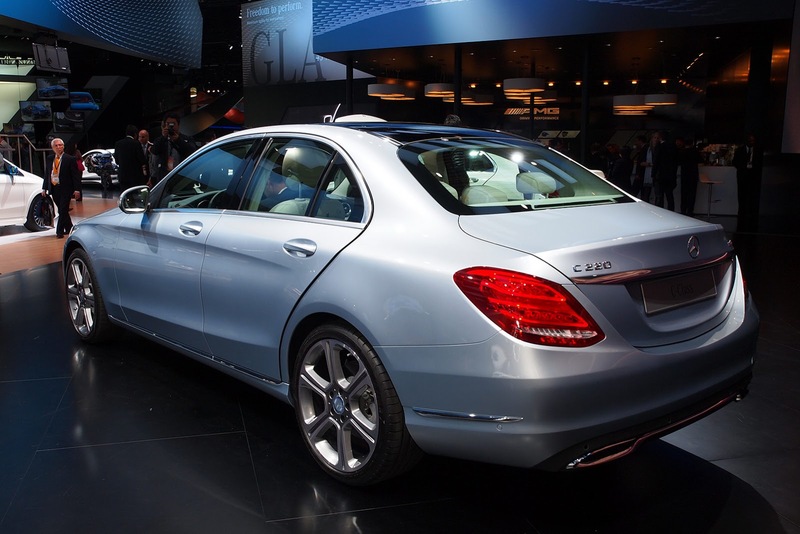 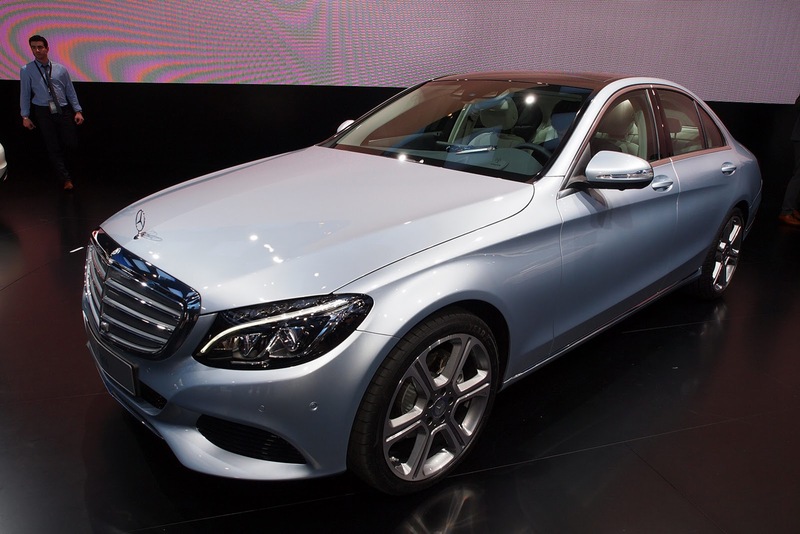 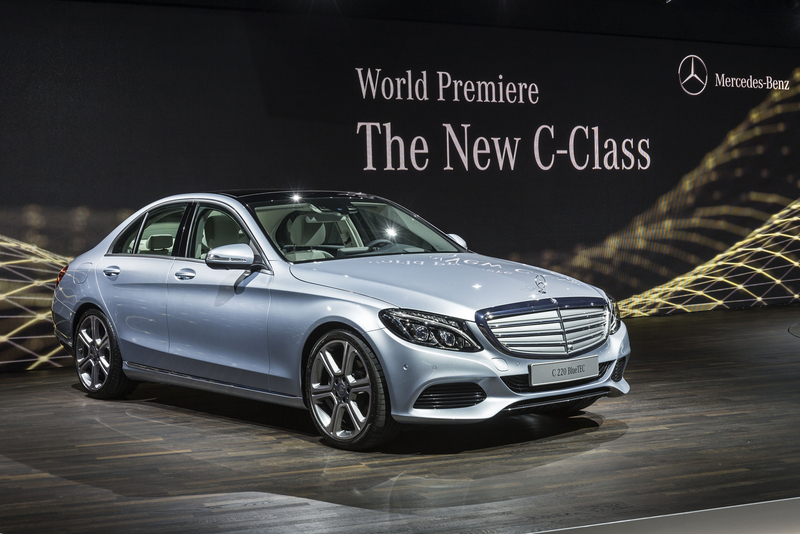 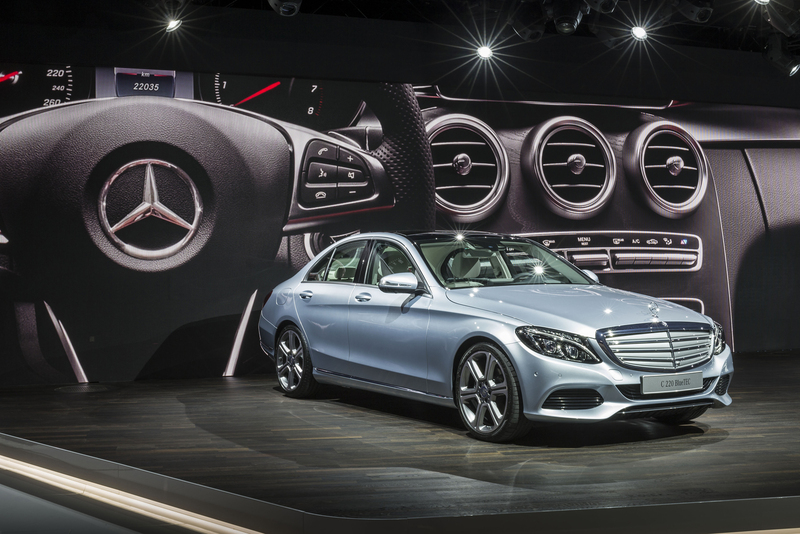 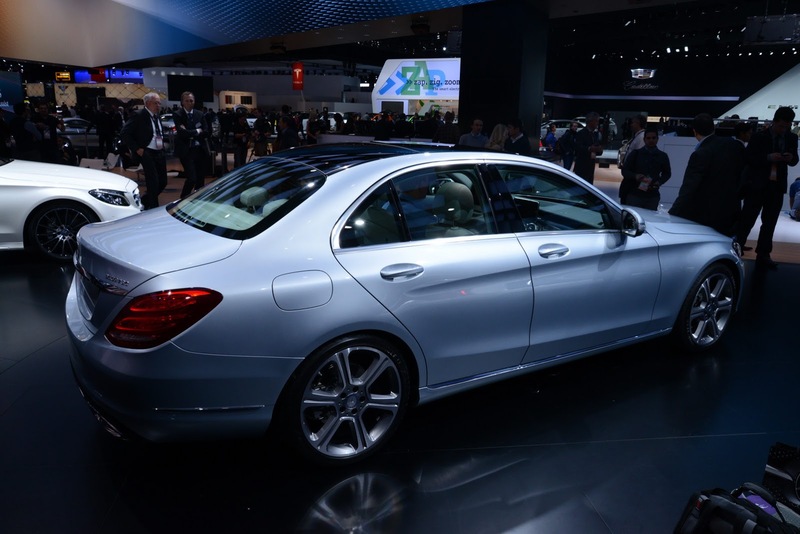 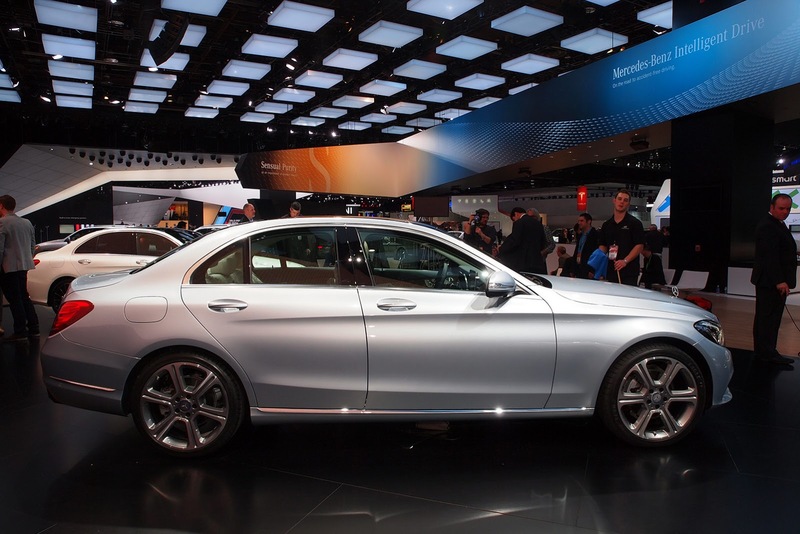 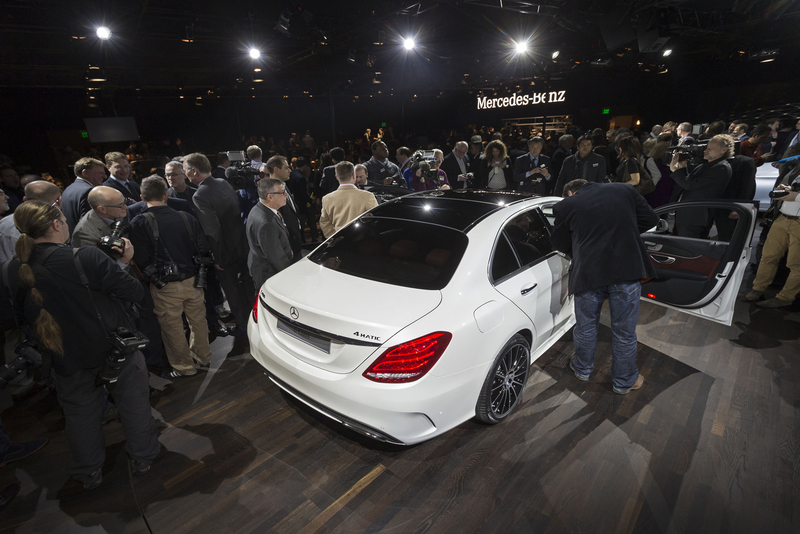 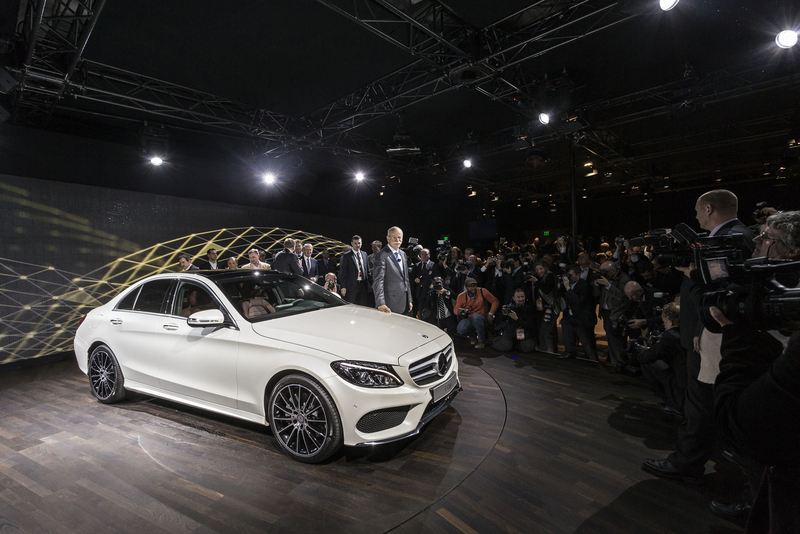 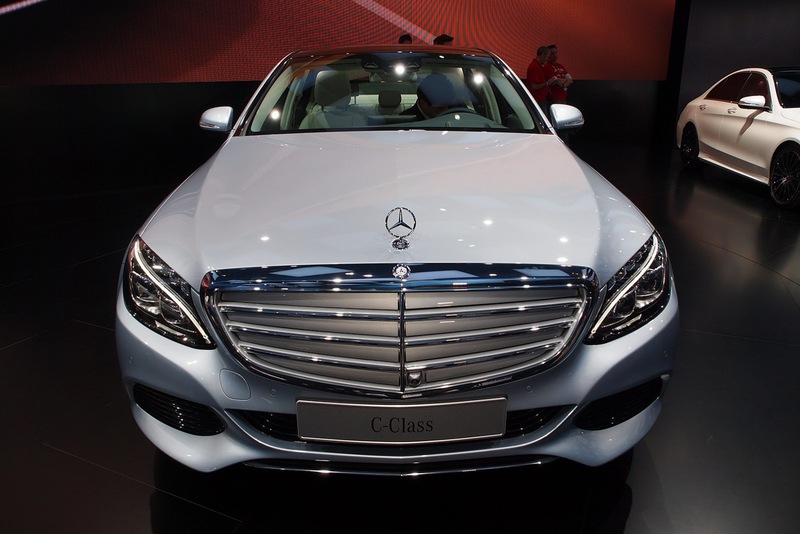 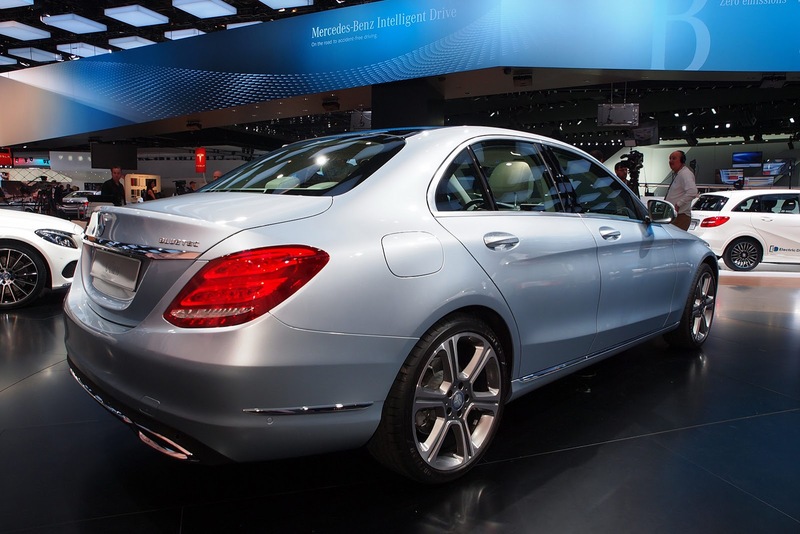 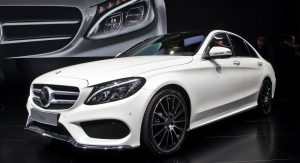 The C-Class is available to order in Germany from €33,558 ($46,200) for the entry-level C 180. 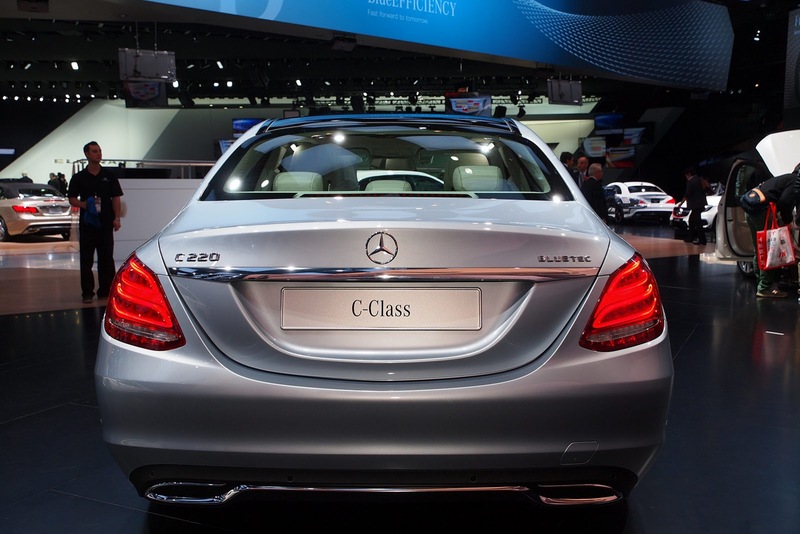 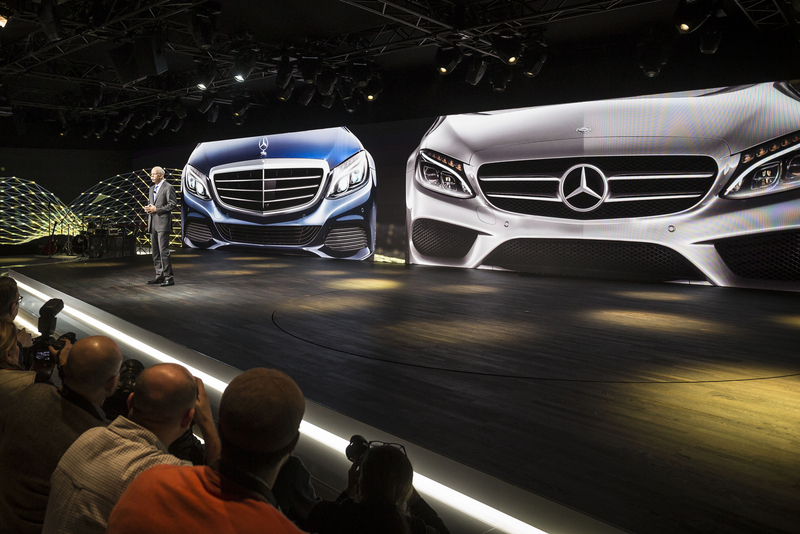 The C 200 starts from €36,414 ($50,090), while the C 220 BlueTEC is priced from €38,675 ($53,250). 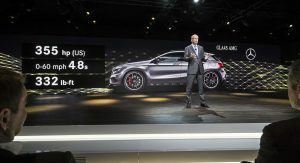 U.S. prices have yet to be announced.